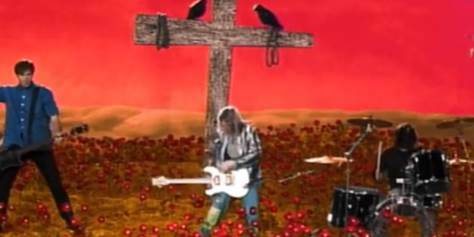 It’s been 20 years since Nirvana’s enduring grunge anthem “Smells Like Teen Spirit” came out. I consider myself lucky to have been just barely old enough to listen, appreciate and (hopefully?) 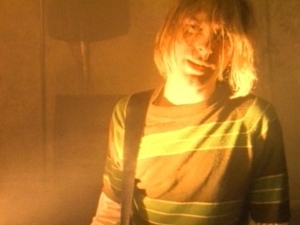 understand Kurt Cobain’s musical genius in real-time. All of these kids were born after Cobain’s tragic death in 1994. Watching their reactions to Nirvana music videos for the first time is mostly an enjoyable “Kids say the Darndest Things” romp. But some innocent comments reveal that Nirvana’s groundbreaking 90’s music can still reach the youth of today. 5. It takes forever to understand what he’s saying. 4. I’m pretty bomb at this on Guitar Hero. 3. Was this actually put on TV? 2. 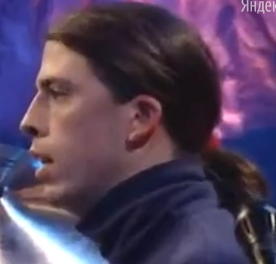 Ha, Dave Grohl and his ponytail. 1. I actually like old music like that.